Want to be notified of new releases in ar-to/mangree? 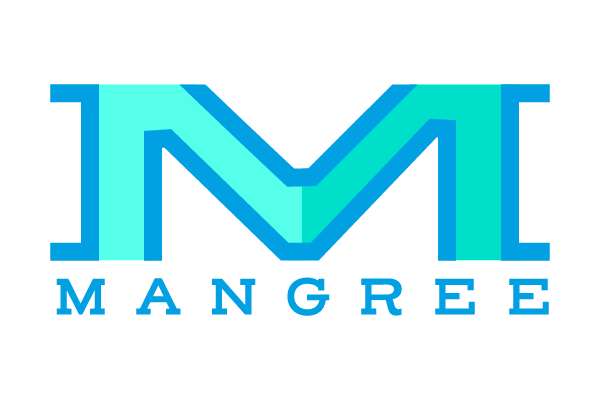 Mangree provides the following tools to help developers create website that are reponsive and cross-browser capable. Don't forget to add your JQuery script before main-build.js for scripts dependent on JQuery to work. Columns are separated by mobile, small tablet, tablet, and laptop. Use the following classes for each column you want to fit a screen or use mobile class to have your column be the same throughout all screen sizes.Columns should sum up to 12. For example, a row should have mob-2 and mob-10 to equal 12. Download sample test site to see how they work. class fixed-nav-mar adds a margin below the nav since a fixed bar will float above the rest of the elements. fixed-nav-pad adds a top padding to the first section element so it is not overlapped by the nav bar. Below are the effects supported by the current version of Mangree. Shrink the nav bar on scroll by adding shrink class to a container using the nav class. Shrink the logo by adding the shrink class to a container with the logo class. RequireJS and its optimization tool rjs, specially the options for rjs. Using Gulp for facilitating and automizing tasks; when running a watch command you need to save the main .pug file for the compile to run and update the html. Saving (_)patials.pug files will not automatically update the compile html file. Know how to use npm (node package manager) to install modules and have NodeJS installed. Some of the reasons behind having different files is because one runs for requireJS specifically, the other for optimizing, and then there is the gulp file which really just runs the optimizer. An important note to keep in mind is that the optimizer uses almond.js as the AMD source over the default require.js mostly due to size. Run npm and bower install command to install all dependancies from json files. In GitHub navigate to your branch and click Pull Request. Write your notes regarding what changes you made and why you think they need to be merged to the master repo. Press submit and your request will be reviewed. Any changes to your request will be annotated on it before a final merge can occur. There are various way to about and manipulating the current files into what you want to do and later wish to share and hopefully get merged with master on GitHub. Below are the main tools used in creating Mangree so its recommended to use these tools in development to avoid production problems. This is a convenient alternative to installing global packages and risk getting version errors for not using what what was used in developing Mangree. The solution used was to compile the requirejs modules into the single file version and add it as a script to the working .html file. When removing/adding new scripts as modules or "browser global" such as JQuery, you need to add it to three separate files src/js/require.config.js, tools/rjs.build.js, and gulpfile.js. Reason is I could get it to run r.js and optimize into a single file without getting errors.